A butterfly garden is a wonderful way to grow plants and flowers that will entice these brightly colored and dainty creatures into your back garden. How you choose to design your garden is all a matter of personal preference. Having said that there are a number of things to consider, such as the size of your back garden as well as the varieties of plants and flowers you would like to grow. You should go with a style of garden that is attractive to you, whilst including flowers and plants to catch the attention of butterflies you would like to attract. 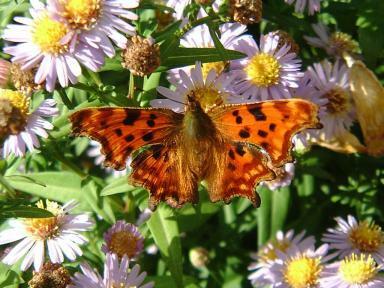 To attract as many butterflies as possible it is recommended to look for out those flowers and plants that will entice the species of butterflies that frequent your neighborhood. All this information is available on the internet, in books or at your local library. 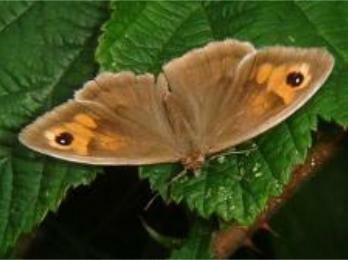 There are many species of butterfly that are becoming less prevalent in our gardens on account of their natural habitat being destroyed. This is something we should all be concerned about, because although not being a major pollinator like bees they still have an important role to play. In order to create a garden where the conditions are favorable to butterflies, you will want to include a water supply of some kind. A birdbath is one method that looks eye-catching and will keep butterflies off the ground and out of the way of cats or puppies. Alternatively a small shallow dish fixed on a post or hung in a tree will do equally as well. When it comes time to plant your butterfly garden be thoughtful on the way you manage the colors for your flowerbeds. Even though butterflies don't care about the choice of colors you choose, you do not want your backyard to become a jumble of unrelated colors and textures. Butterflies are drawn to flowers which have nectar as opposed to pollen, such as Aquilegia, Lavender, Buddleia (also known as the butterfly bush), Honeysuckle, Milkweed, Valerian, Daisies, Purple Coneflower, Summer Lilac, Yellow Sage and Daylilies. As well as having the appropriate plants and flowers to attract butterflies, the addition of a ¨butterfly house¨ will also help to encourage them. Butterfly Houses will keep birds out while providing butterflies shelter from the elements. Many people find it quite beneficial to sketch and color a page layout for their garden first to give an idea of what the completed product would look like. Take into account that warm colors such as red and orange are bright and showy. These colors have a more significant impression against a solid green background, whilst cool colors such as blue and purple appear soothing and toned down, and function more effectively with a white contrast, to create a bright and fresh look. There's no doubt that the addition of a butterfly garden will delight your family and friends, but do make sure that you establish a safe environment for them. Children from four years old and up can study 5 real caterpillars eat and grow to form their chrysalis, and then emerge as Painted Lady butterflies. Experience nature up close with the Live Butterfly Garden from Insect Lore. This enthralling educational kit gives kids the opportunity to observe butterflies through every stage of their lifecycle. Children will enjoy feeding the butterflies in their included observation habitat and then releasing them into the wild. As well as being a great way to encourage butterflies into your garden this is Butterfly House Kit one of the most charming ornaments you can add to your garden. It can be mounted on wooden stake or tree and is meant to be positioned among flowers and nectar-rich plants. By learning how to identify and attract butterflies in your area you'll be able to select the proper plants and elements needed to ensure dozens of fluttering visitors every day. Fill it with butterfly nectar, and you'll be able to provide butterflies with an additional source of food. This kit does not require screws or glue and can be assembled in minutes.